If you want to invite people over for a birthday party but your house is small, you should not worry. With a little planning, you can invite as many people as you want without worrying about the size of your apartment. According to the owner of www.carmelapartments.com/the-cole-new-york-city-ny, you can always optimize a space, no matter how small it is. When throwing a birthday party in a small space, you need to rearrange things to make the space bigger. You should also try to use different spaces in different ways. For instance, if your dining area is smaller than the living room, you should consider using the living area as a dining room. You also need to remove all fragile and breakable items from your rooms because guests will end up using any surface, which might lead to many items breaking. Removing a lamp from your table will add more space for placing utensils or sitting. If you think outside the box, you will end up with more space than you thought you would have. How will you set up and serve food in a small space? If you have a breakfast bar, you should consider setting up the food buffet style. Make sure that you use several dishes at different heights to squeeze more food into a small area. However, if you do not have a breakfast bar, you should make use of your kitchen counters. Is the flow inside your kitchen area bad? You need to think outside the box; you can use ironing boards and bookcases to set your food. Because an ironing board is made to withstand heat, you can cover it with a tablecloth and use it as a counter. You should make sure that you keep the food simple because a heavy plate of food might be awkward to handle in small spaces. 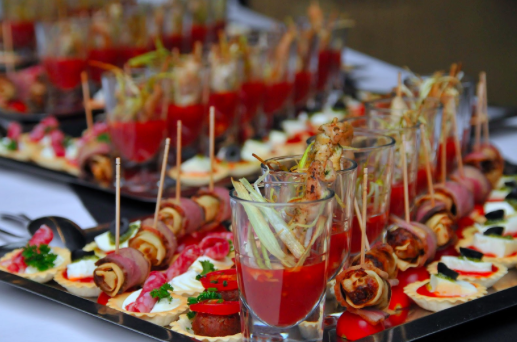 You can opt for finger foods, which can help reduce food spending costs and are easier to serve and eat in cramped spaces. You should not let the small size of your apartment deter you from inviting people into your home. The people who love you do not care how small your house is, they just want to spend time with you on your birthday. To make your space more roomy, you should consider removing all the clutter to make it more open and bigger. As you tackle each aspect of party planning, you should figure out how to do it with the space you have. 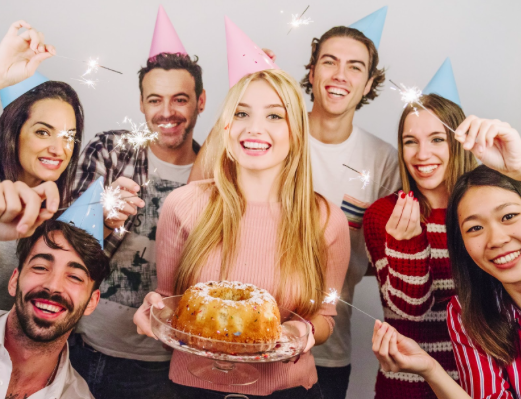 With a little foresight and planning, you can plan the best birthday party no matter how small your apartment is. If your apartment is small, you need to figure out where the guests will sit once they arrive. Although mingling and mixing can be fun for a while, people will need to sit down eventually. If you can find a large open area, you should place a big dining table and fit chairs around it. Even if the table ends up taking most of the space, at least the guests will have somewhere to sit as they eat. If a table cannot work in your space, you should opt for buffet food service and place plenty of cushions and pillows on the floor for your guests to sit on. You should consider adorning the walls and ceilings – by stringing streamers and lights – to avoid taking up valuable flat surfaces. However, according to the owner of http://www.carmelapartments.com/the-waypointe-norwalk-ct, you should ask for permission from your landlord before doing anything permanent to the apartment.